Nowadays tennis has evolved into a more powerful game than it used to be years ago. Lighter materials and more aerodynamic equipment allow players to hit the ball faster and with greater force. This results in a higher dependence on the players’ fitness level, thus, increasing the risk of injuries. 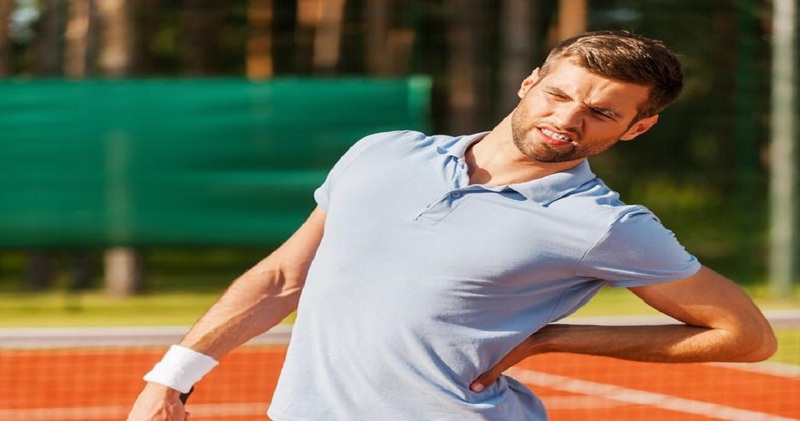 In this article, I am going to focus on lower back pain, a very common injury amongst tennis players. It is important to understand that there are two main movements that the spinal column can do. These two movements are flexion and extension of the column, and they have the greatest range of motion. In addition, we have the lateral flexion and rotation movements, but these have a much greater restriction as far as movement. Due to the constant back rotations and necessary twists, tennis puts a lot of stress on the back. Furthermore, every time players hit a serve or overhead, they are hyperextending their lower back. Thus, the spinal column of a tennis player is constantly suffering. ►Have a professional coach check the proper technique and execution of your tennis strokes. With proper form and posture, your body will suffer less. ►Communicate with your coaches if there is any sort of pain or discomfort while playing. Listen to your body. We feel pain when something is not right in our body. ►Find the racquet, strings, and grip size that best fit you. Having the right equipment is key for your technique and reduce stress in the shoulder, elbow and wrist. Stiffer racquets and lower tension in the strings also require less trunk rotation. ►Core strengthening exercises. Exercise these muscles to have a better protection of the spinal column. Do not forget that everything is connected and being weak in one area of your body will compromise another one. ►Always warm up before playing, and stretch when done. Do not forget to stretch your hamstrings and hip flexors well. ►You are what you eat. Hydrate, eat well. Your muscles will recover faster and better, and you will feel more energized. ►If something feels wrong, do not hesitate to see a doctor or athletic trainer. ►Do not forget that rest is part of training.